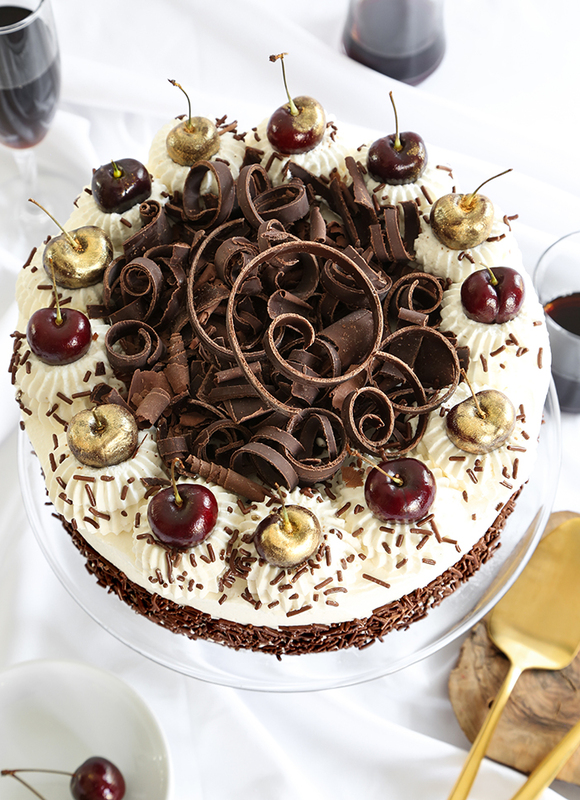 There's no shortage of Black Forest-inspired cakes on this blog (like this chocolate dome and this cake roll), but sharing the classic version - the one that's made in 9-inch round cake pans and covered with whipped cream - somehow never made the cut! 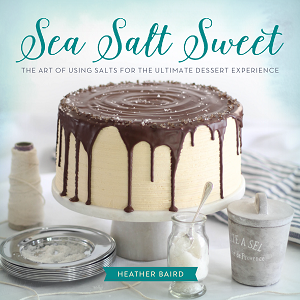 The recipe I'm sharing today is adapted from this website, which also tells the origin story of the cake (a neat read if you have time). It seems the recipe has made its way onto Genius Kitchen with lots of great reviews, so I had to try it for myself! There are a few small things I've changed ingredients-wise, but nothing drastic. I've swapped shortening for butter in the cake layers, and the dark pitted cherries I used were canned because all the good fresh cherries are out of season. I did manage to find a few fresh cherries for the cake's garnish, but honestly they were too tart to eat. I soaked the dark cherries in kirschwasser, which is a clear, unsweet cherry liqueur. 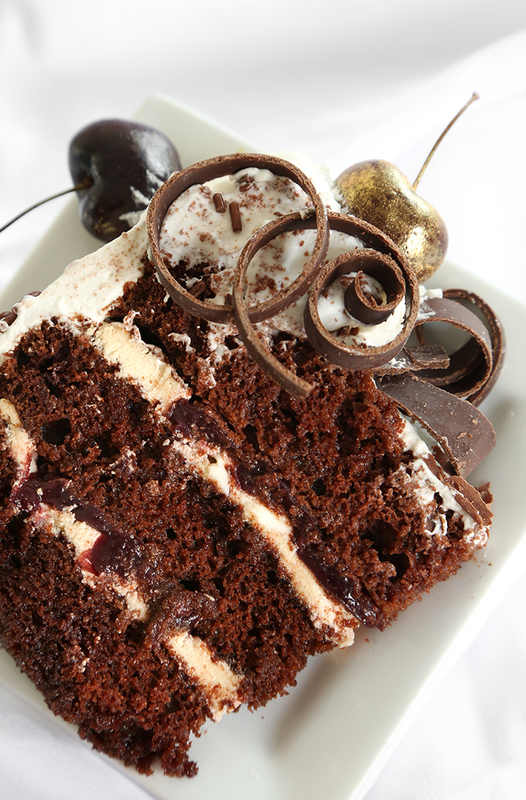 This really amps up the cherry flavor which is so nice with chocolate elements in the cake. This cake is filled with espresso whipped cream, which is something I want dollop in my coffee each morning (I digress). It's really lovely and it was a surprise that the finished cake was not overly coffee-flavored. The espresso seems to deepen the kirsch flavor and it harmonizes nicely with the dark cherries. 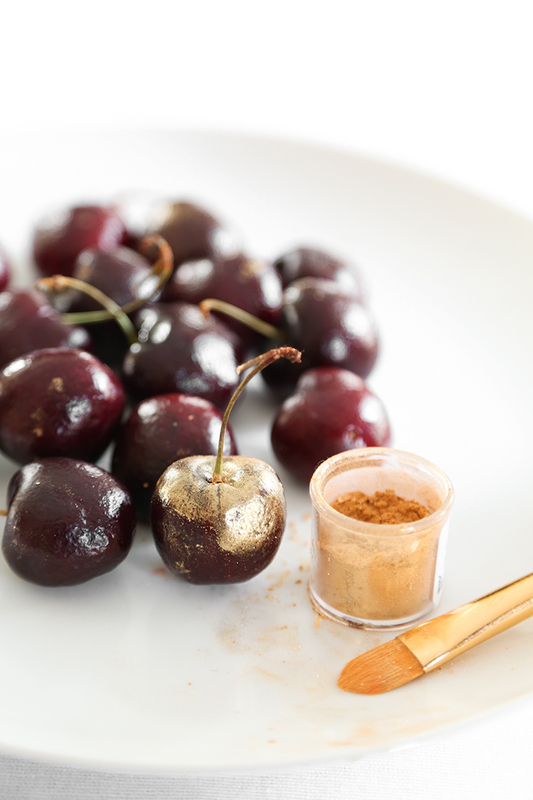 A little luster dust made the cherry garnish sparkle. Of course this step is completely optional, but a nice touch if you have the gold dust on hand. It's been a while since I've made chocolate curls, but they seemed fitting for the top of this cake. If you're not well-practiced with making the curls, then there's nothing wrong with the usual finishing touch of shaved chocolate. Just place a block of chocolate in the freezer, and when it's good and cold use a vegetable peeler to shave it onto a plate. 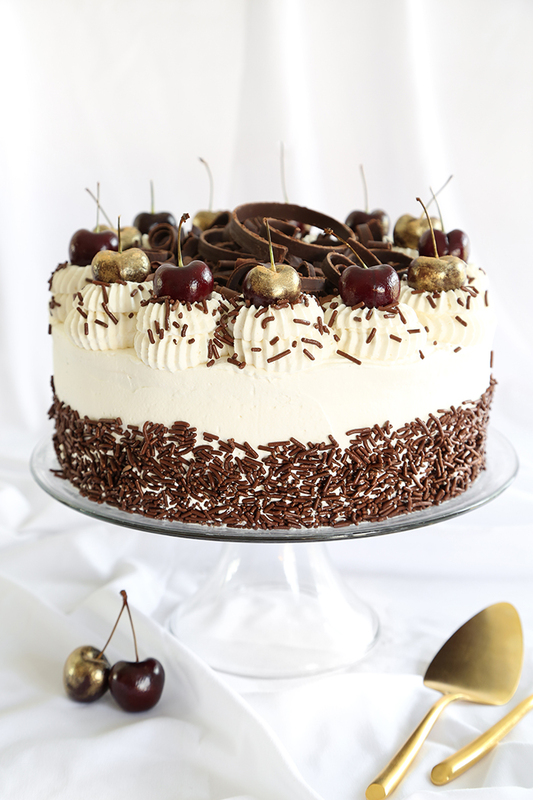 The inside of this cake is drenched with kirsch and further infused with the kirsch-soaked cherries. All the elements of this cake work so well together. It's not at all heavy, and after the first slice I was ready for seconds! The reviews I mentioned earlier were spot-on. This is seriously one of the best cakes I've tried! For those planning an Oktoberfest feast, this must be your grand finale. It does not disappoint! 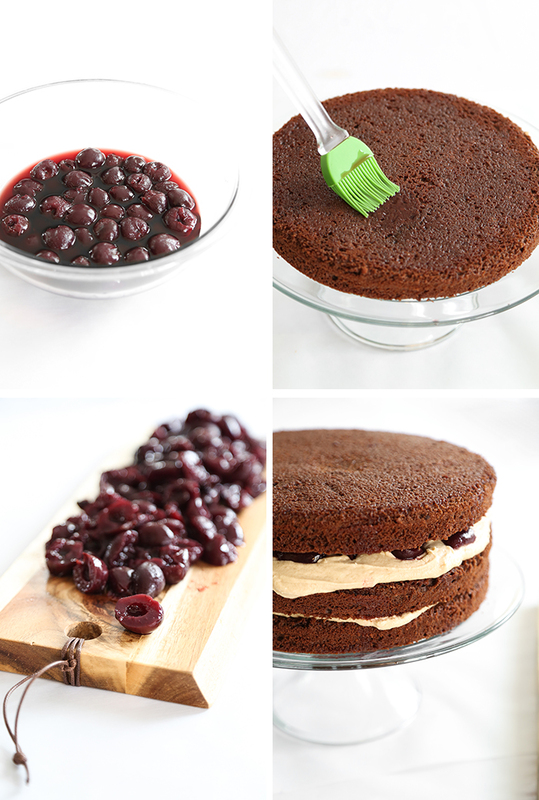 I used canned dark pitted cherries for this cake, but you can substitute 1 1/2 lbs. fresh dark cherries when they are in season. 3/4 cup (4.5 oz) shaved dark chocolate or chocolate curls. Drain the cherries and halve them. Place in a bowl. Pour the 1/2 cup kirsch over the cherries and soak overnight. Pour the kirsch off the cherries and reserve. Spray three 9 inch round cake pans with flour-based baking spray (or grease and flour). Sift the flour, cocoa, baking soda and salt together in a large bowl. In the bowl of an electric mixer, cream together the butter and sugar. Add the eggs one at a time. Add the vanilla and mix well. Add the dry ingredients to the creamed mixture alternately with the buttermilk. Begin and end with dry ingredients. Pour the cake batter into the prepared pans. Bake for 20 minutes or until a tooth pick comes out clean. Cool the cakes and remove them from their pans. Use a toothpick to prick holes in the tops of the cake; brush the 1/2 cup of reserved kirsch (poured off the cherries) onto the cakes. Allow the cakes to infuse while you prepare the filling. Dissolve the espresso powder in the hot water. Set aside to cool. In the bowl of an electric mixer, beat the butter until lightened. Add the confectioners’ sugar, salt and espresso mixture. Mix well. If the icing is too thick add kirsch one tablespoon at a time. 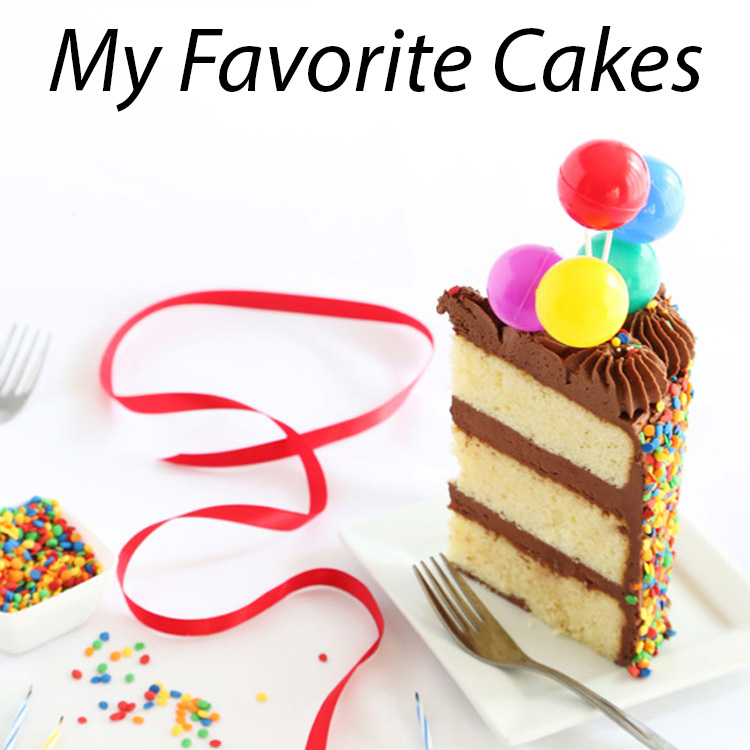 Place a cake layer on a serving plate or cake stand. Spread half of the espresso filling over the top; cover with cherries and top with another cake layer. 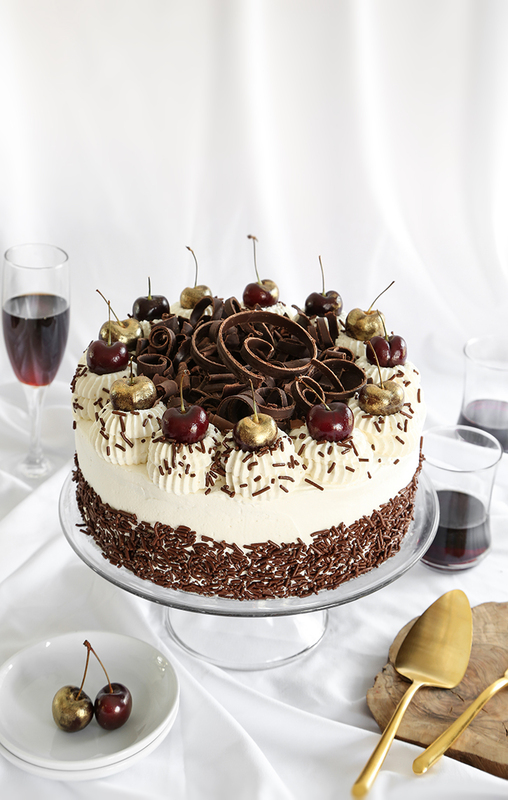 Spread on the remaining filling, cover with cherries and top with the third cake layer. Cover the cake and refrigerate for at least two hours. 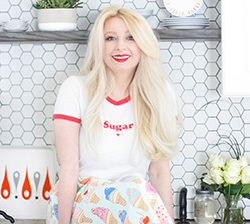 For best results, allow cake to infuse overnight and for up to 2 days. 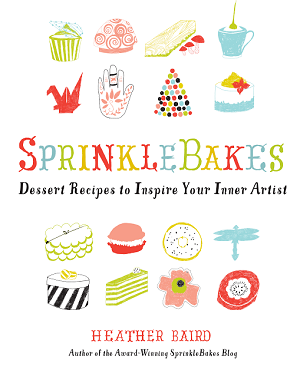 Prepare the frosting on the same day you plan to serve the cake. Whip the cream until it forms stiff peaks. Gradually add in the icing sugar. Add the vanilla and kirsch. 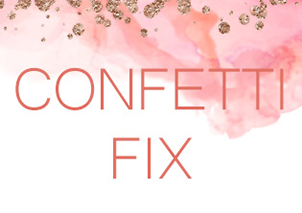 Cover the cake with the frosting. 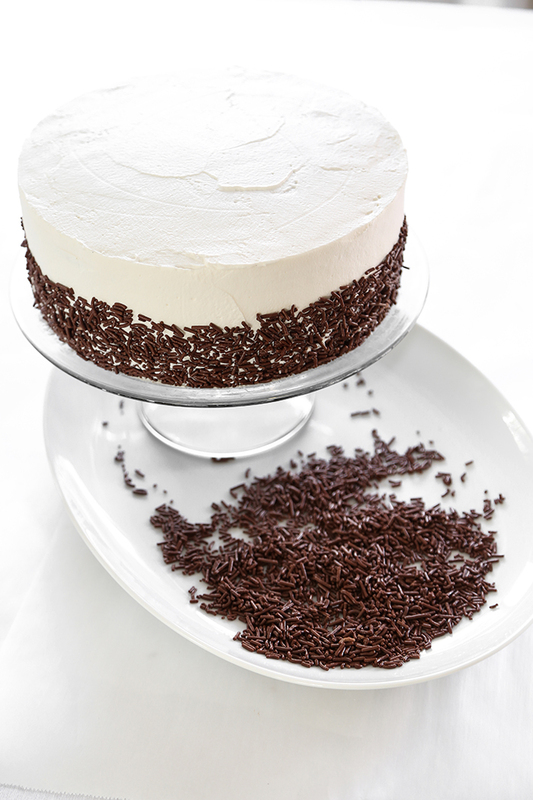 Press chocolate sprinkles on the bottom of the cake (place over a baking tray to catch the excess- less messy!). 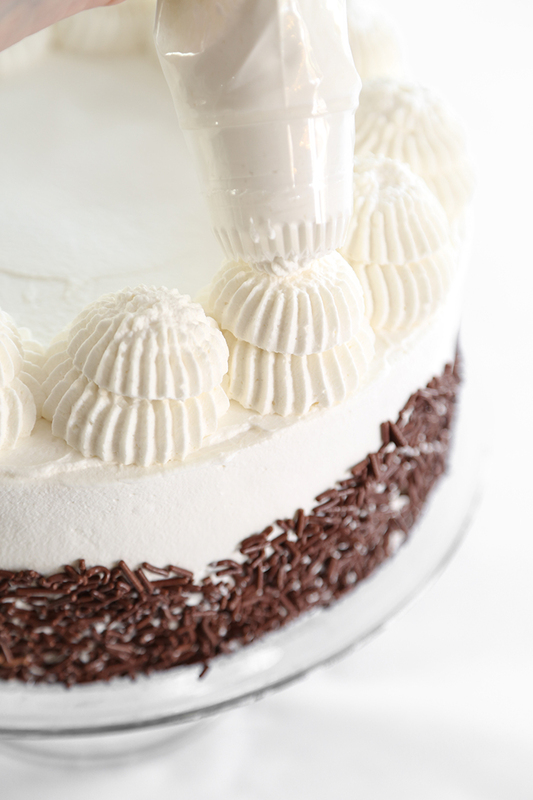 Place leftover frosting in a piping bag fitted with a large decorative piping tip. Pipe 12 stars around the top edge. Decorate each star with a fresh cherry. Garnish with more chocolate sprinkles. Pour the chocolate shavings or curls in the center of the cake. Refrigerate cake until ready to serve. 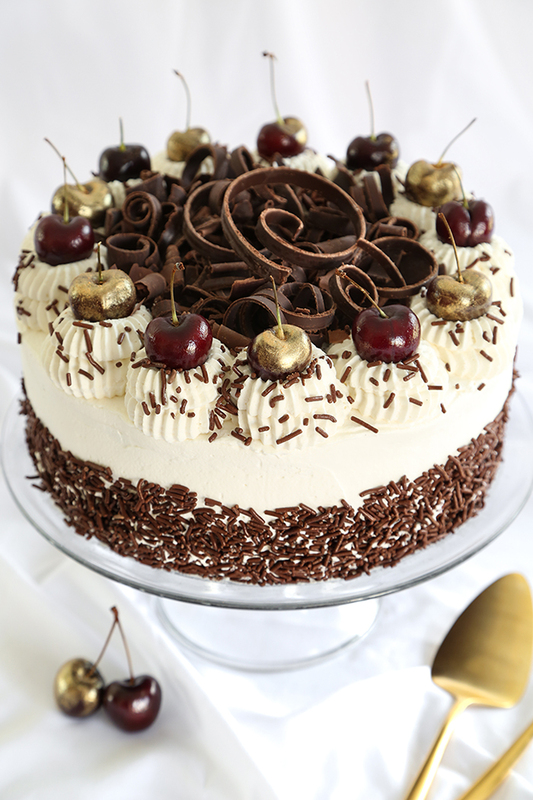 I love black forest cake! Looks perfect! I just made this for our neighborhood Oktoberfest--people went crazy over it!